George Albert Tress III, 93, of Coraopolis, and formerly of New Kensington, passed away Monday, February 12, 2018 surrounded by his loving family. George was born January 28, 1925 to George and Ida Mae (Frampton) Tress in New Kensington, Pennsylvania, the middle of 3 children. He graduated valedictorian from Arnold High School in 1943. George served in the Army in WWII, Pacific Theater. He met his beautiful bride, Ruth Marcella Bowser, at church and they married in 1946 in New Kensington, Pennsylvania. George graduated from the University of Pittsburgh on the GI bill and had a long career in accounting with Allegheny Ludlum Steel/Allegheny Technologies. George loved to spend time with his family and was an avid student of military history and loved reading all kinds of books. 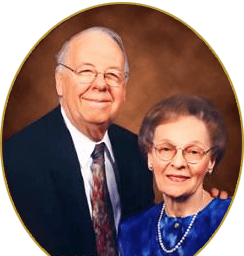 Above all, he loved Jesus and fully served in his church, Maranatha Bible Church, New Kensington, as a teacher, deacon, elder, singer and counselor for many years. 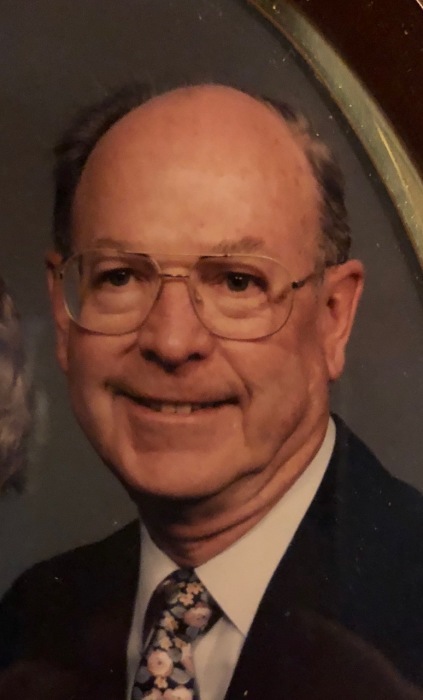 George enjoyed golf with his bride of 64 years, traveled the country and, in his later life journey loved to take walks with his grandchildren and great-grandchildren. George is survived by his son, Robert Alan Tress and wife, Lynette Sue (Forsman) Tress of Enola, Pennsylvania; son, William Stuart Tress of Stuart, Florida; daughter, Mary Carol (Tress) Keister and husband, Charles Keister of Atlanta, Georgia; son, Timothy Mark Tress and wife, Donna Lou (Bentley) Tress of Jupiter, Florida; daughter, Nancy Beth (Tress) Russell and husband, Clayton Dorsey Russell, Jr. of Coraopolis, Pennsylvania; and his sister, Norma Jean (Tress) Goddard of Reading, Pennsylvania. George is survived by 13 grandchildren and 23 great-grandchildren. George was preceded in death by his wife, Ruth; parents, George and Ida Mae, his brother, Robert and grandson, Mark Keister. The family will greet friends to share memories and celebrate George on Saturday, February 17, 2018 at ROSS G. WALKER FUNERAL HOME LTD, 217 Freeport Road, New Kensington from 11 am to 1 pm. Burial will follow at Greenwood Memorial Park with a military tribute by Vandergrift Veterans Honor Guard and a devotional from Pastor Dave Hefferen of the First Baptist Church of Upper Burrell. In lieu of flowers, contributions celebrating George’s life may be made to: First Baptist Church of Upper Burrell, 3740 7th Street Road, New Kensington, PA 15068.